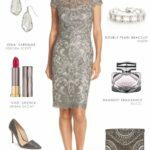 You are here: Home / Bachelorette Party / Cute Dresses for Weddings! By now you know I have a soft spot for anything pretty, preppy, ruffled, and with some sort of sweet little detail or sparkle! 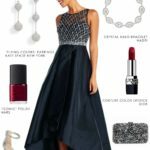 If all of those wonderful elements happen to come in dress form, all the better! 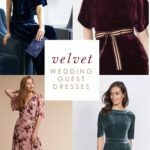 These fab dresses are the perfect fit for Dress for the Wedding readers, because Camilyn Beth designs include some great wedding guest dresses ( I particularly love the Ampi Dress in Navy or Emerald, and the Go Go Dress in Fuchsia); amazing little white dresses for brides ( The Go Go Dress in Ivory for the rehearsal dinner, the Getaway Dress or Ampi Dress in White for the bachelorette party, and the Ampi Dress in Peach for the bridal shower); and fantastic formal gowns that put some fun in formal attire! 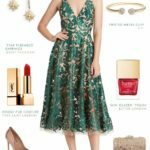 These dresses would all also make gorgeous bridesmaid dresses that have a sweet look that is at once classic and unique, and are a natural shoo-in for a wear-it-again style. 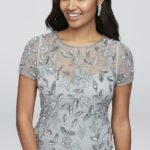 The longer styles could work for formal weddings, bridesmaid dresses, or the mother-of-the-bride dresses; a bride could even wear the full-length ivory Go Go Gown as her wedding dress. 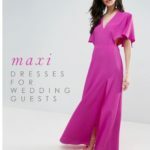 I’m certainly considering one of these cute little Camilyn Beth dresses for a wedding I’m attending; maybe you’ll be wearing one of these darling dresses to your next wedding, too! 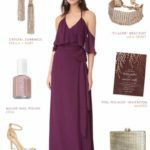 Camilyn Beth is an affiliated retail partner of Dress for the Wedding, but has not directly sponsored or requested this post. 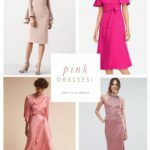 I always love hearing about a new designer and I’m totally crushing on these designs, particularly the ‘Ampi’ Dress in Peach – oh so adorable! The Ampi Dress with the sequinned back is super-cute!